All Westover Hills homes currently listed for sale in Westover Hills as of 04/21/2019 are shown below. You can change the search criteria at any time by pressing the 'Change Search' button below. If you have any questions or you would like more information about any Westover Hills homes for sale or other Westover Hills real estate, please contact us and one of our knowledgeable Westover Hills REALTORS® would be pleased to assist you. 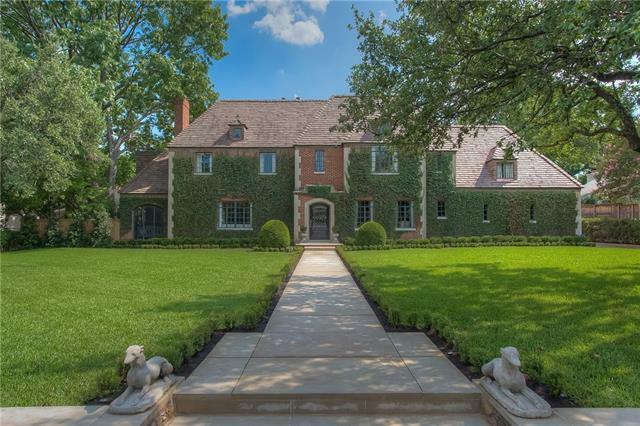 "This architecturally desirable estate in Old Westover Hills resides on one of the most beautiful and renowned streets in the area. This estate exudes both elegance and leisure. The 13,000 square foot main house is composed of 4 bedrooms, 7.1bathrooms, 3 car garage, 4 living areas, 2 studies, 3 laundry rooms, 2 wet bars, wine cellar, fishing-hunting room, fireproof safe room, as well as two large loggias with gorgeous views of the infinity pool. The breathtaking master suite includes a meticulou"
"Beautiful traditional Tudor features impeccable detail and privacy in coveted Old Westover. Cook in a gourmet kitchen with exquisite Calcatta marble counters and top-of-the-line Viking appliances; dine in a fabulous setting under a stunning chandelier original to the home; entertain at the wet bar featuring Sub-Zero built-ins and retreat in the private master suite overlooking a lush, expansive backyard with an outdoor living area. Renovated in 2016, with attention to detail throughout including"
"Extraordinary Westover Hills Contemporary Modern estate. Masterfully redesigned & expanded by the architects at Schwarz Hanson in 2000. 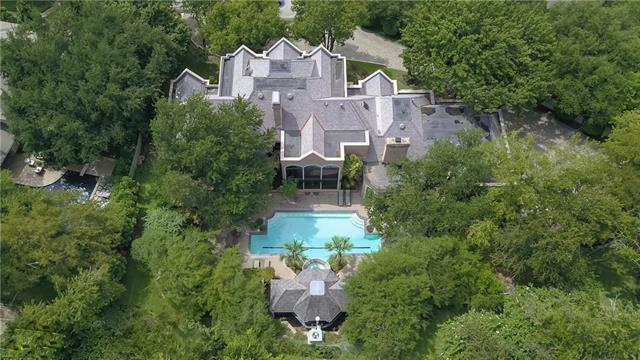 Situated on the 8th hole of Shady Oaks Golf Course. Skylights in the expansive living room allow for floods of natural light. Gorgeous wall of glass looks out to the garden & courtyard from the dining room. Kitchen features Brazilian cherry wood cabinets, granite, prep sink, & commercial grade appliances. Handmade rice paper wall in the media room. 2nd floor mas"
"This majestic home on a private estate-sized lot is nestled in prestigious Westover Hills. The soaring ceilings, walls of windows and exquisite attention to detail set this beauty apart. The architectural detail is unsurpassed. The master suite is on the first level and boasts two master baths each with their own spacious walk-in closet. The gourmet kitchen has an abundance of storage. 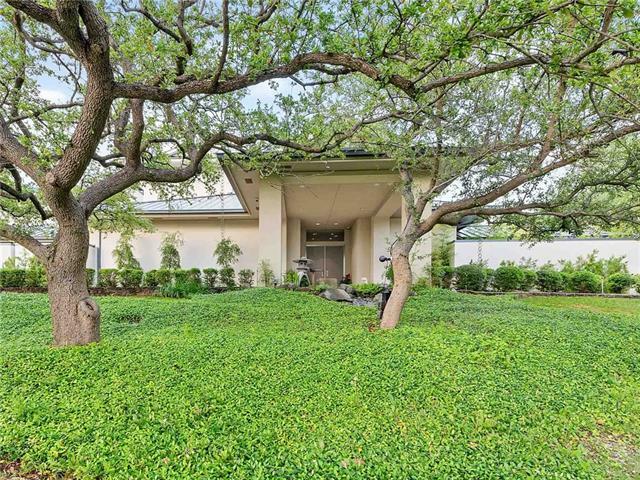 Surrounded by mature trees, a sparkling pool with a cabana and extensive patios, it is the perfect setting for "
"Located on the 8th green of Shady Oaks Golf Course! 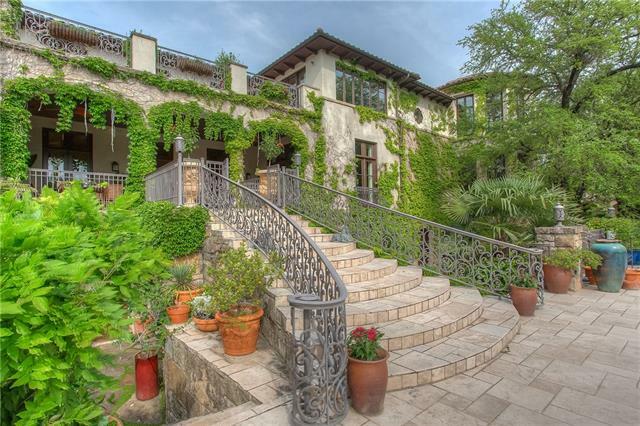 Stunning custom built home designed by architect, Jack Schutts in 1992. 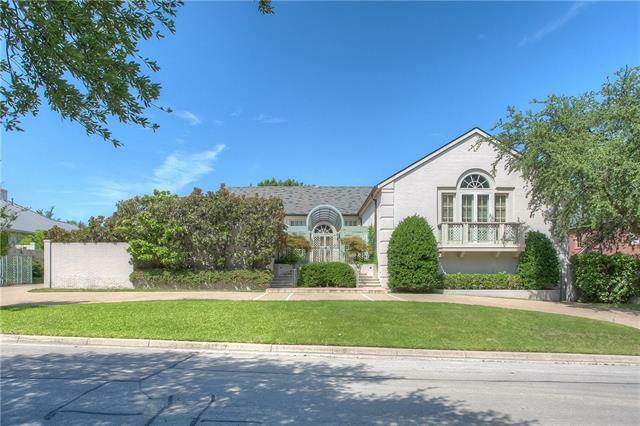 Approximately 6,400 square feet with many special details including wood paneling from Europe in the library, limestone floors in the entry, soaring ceilings with heavy crown moldings, huge master suite, his and hers baths, exercise area in bath, two bedrooms and two baths on the lower level. Banquet size dining room. Two car garage plus golf car garage. Many custom details"